Critical limb ischemia (CLI) is a debilitating condition for which limited therapeutic options exist. Characterized by ischemia of the lower limb due to vascular deficiency, attempts have been made to stimulate angiogenesis utilizing cell and gene-based approaches. Adipose stromal vascular fraction (SVF) cells are a practical source of autologous tissue that can be prepared inexpensively in a same-day procedure. Recent studies have demonstrated SVF to be highly angiogenic, as well as clinically safe in a variety of contexts. Here, we describe the rationale and, to our knowledge, the first successful clinical implementation of autologous SVF cells for the treatment of a no-option CLI patient. Peripheral vascular disease commonly affects the arteries supplying the lower extremities and is the most common cause of atherosclerotic disease. Although in the majority of cases, peripheral artery disease is caused by atherosclerotic occlusion, radiation therapy-associated vasculopathy has been reported . Regardless of the etiology, restriction of blood supply to the affected limb results in ischemia. This will usually manifest as pain when walking (intermittent claudication), limitation in the patient's functional class, and as the ischemic process progresses, pain at rest, ulceration, infection, and eventually gangrene. Advanced peripheral arterial disease is termed critical limb ischemia (CLI). In CLI patients, loss of limb can occur when the ischemia is not resolved by either percutaneous or surgical revascularization procedures [2-3]. It is estimated that around 160,000 amputations are performed annually in the United States because of CLI . Rehabilitation is a long and difficult process with extremely high health care costs . The therapeutic goal in CLI is to alleviate symptoms, restore functional abilities, prevent progression of disease, and thus, diminish the need for amputation. In other words, the primary objective of treatment is the preservation and rescue of the affected limb. For those patients who are not candidates for either surgical or endovascular revascularization, new studies involving the use of cellular therapy are being investigated. Various studies using endothelial progenitor cells in experimental models of limb ischemia using artery ligation in laboratory animals have shown improved circulation of the limb after injection and have prevented limb loss . Similar results were obtained with intramuscular injection of stromal cells from bone marrow in ischemic areas . There have also been studies published demonstrating the effectiveness of autologous mononuclear bone marrow cells in patients with ischemic limb arteriosclerosis obliterans or thromboangiitis obliterans [6-9]. In this study, we assessed the safety and effectiveness of autologous adipose-derived stromal cell (ASC) implantation in patients with CLI that are not eligible for revascularization and at risk for losing their limb. It is believed that by administration of ASCs into areas of low perfusion in the leg, these regions may become populated with the angiogenic ASCs, thereby potentially improving blood supply and promoting healing. ASCs are a patient-derived (“autologous”) cell transplantation technology that is delivered to the patient via intramuscular injection. The therapy is composed of cells derived from a patients’ own adipose tissue that are isolated in the lab and are designed to induce angiogenesis in ischemic tissues. Cell therapy is not intended as a temporary solution, but a new alternative allowing natural repair of diseased vessels and tissues using the patient’s own cells. Multiple groups have demonstrated that ASCs can increase tissue perfusion and limit ischemic tissue damage in several circumstances, including models of ischemia-associated acute skeletal muscle injury , myocardial infarction , and in cutaneous wound healing . Evidence derived from each of these models has consistently indicated that these salutary effects are mediated by angiogenic and anti-apoptotic factors secreted by ASCs . The aim of this publication is to report the results of the implantation of stromal adipose-derived stem cells in a patient with CLI secondary to radiation treatment. The patient received radiation due to the presence of a squamous cell carcinoma and as a result developed a non-healing lesion. After failing traditional therapies for over one year, the patient was established as a candidate for autologous ASC treatment. After a thorough review of the literature, we believe this is the first case reported of autologous stromal adipose-derived stem cells for use in radiation necrosis. We demonstrate safety of the procedure and significant improvement of the clinical condition, including tissue regeneration that allowed the resolution of the necrotic ulcer, neovascularization, and restoring the affected limb. The patient was able to resume normal daily activities that she could not perform due to the presence of the lesion and ischemic tissue. An 80-year-old female from the U.S. whose only risk factor for atherosclerotic cardiovascular disease besides age, was hypercholesterolemia, which was detected several years prior and well controlled with atorvastatin, 10 mg/day. 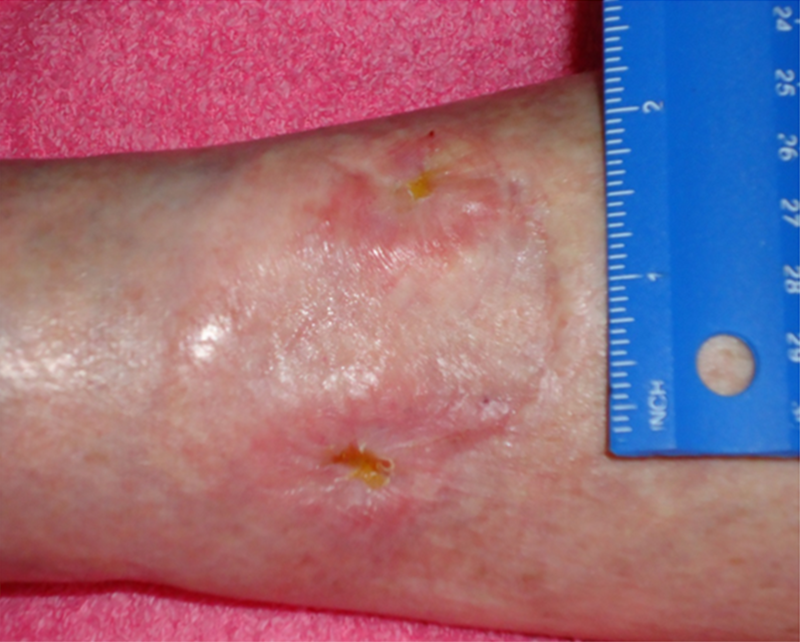 The patient presented one year after detection and treatment of a skin lesion on the outer region of the right leg. After a dermatological consult, a biopsy was performed due to suspected malignancy. Histopathological diagnosis confirmed the presence of a basal cell carcinoma. She was referred to an oncologist, and the patient was submitted to radiotherapy in order to control the tumor. 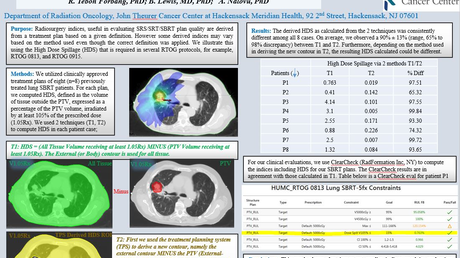 The patient received 39 sessions of radiotherapy. Although the tumor disappeared, the radiation caused the loss of vascularity of the limb. While originally one large lesion was formed as a consequence of the radiation therapy, the patient presented with two as a result of a failed skin flap attempt; the largest measuring about 4 centimeters wide, 6 centimeters long and 4 centimeters deep, and the smallest measuring 4 centimeters wide, 4 centimeters long and 3 centimeters deep (Figure 1). Photographs of injuries, taken on day of injection prior to procedure, which show the damage caused by radiation to which the patient was subjected. These lesions were subjected to various treatments, including hyperbaric therapy and skin graft surgery, which were unsuccessful. The patient was experiencing great pain, extremely difficult and debilitating claudication, and recurrent infections. Her physicians proposed amputation and use of a prosthesis to regain some functional capacity. The patient presented at The Regenerative Medicine Institute, Mexico in Tijuana for evaluation. 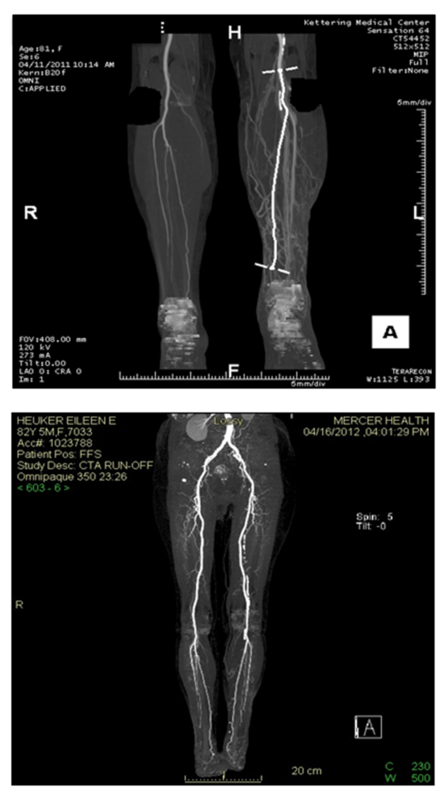 After evaluating the case and reviewing the angiography performed in the patient’s city of origin, it was determined that there was virtually no vascularization in the area of the site that received radiotherapy toward the distal portion of the limb. The case was submitted to Hospital Angeles Tijuana’s Institutional Review Board and treatment according to experimental protocol described below was approved. The patient was accepted into an existing protocol designed for the treatment of critical ischemia secondary to radiation injuries (#CL-ME-001). At the time of her admission, the patient arrived in a wheelchair and was unable to walk any distance greater than 10 meters. The patient was admitted one day before the procedure for a full clinical evaluation, including vital signs and ankle brachial index, pre-op laboratory tests, and clinical history. Laboratory tests included complete blood count, urinalysis, and blood chemistry panel (CK-MB and troponin). Other tests included pulse oximetry, extremity angiography, resting electrocardiogram, photographs of the injury, Leriche-Fontaine and Rutherford classification, and King's College Hospital vascular quality of life questionnaire. The next day the patient was taken to the operating room where she underwent liposuction under local anesthesia to obtain fat tissue using a suction syringe. We obtained about 240 cc of adipose tissue, which was then taken to the hospital cell lab for processing. Enzymatic digestion was carried out using Adipolase™ (Ageless Regenerative Institute, Florida), centrifugation for separation of stromal vascular fraction, and filtration and washing of the sample. The total yield was 116.29 x 106 million stromal cells from the adipose tissue. This process took about 90 minutes. After obtaining the stromal cells, the sample was returned to the operating room. The patient was lightly sedated via intravenous injection and local anesthesia was utilized for the catheterization procedure. Approximately 35.1x106 cells were administered intravenously in 3 ccs of saline solution, and the remaining 81.2x106 were suspended in 3 ccs of saline and implanted directly at the edges of lesions and throughout the ulcers. The injections were 0.25 ml each at a depth of 1 cm with a symmetrical distance between them of about 5 mm (Figure 2). Wound after surgical washing and markings for injection sites for adipose-derived stromal stem cells. The patient tolerated both procedures (liposuction and cell implantation in the lesions) without incident and was discharged one day after implantation. The patient was able to travel home, and subsequent follow-up was conducted via telephone and email. 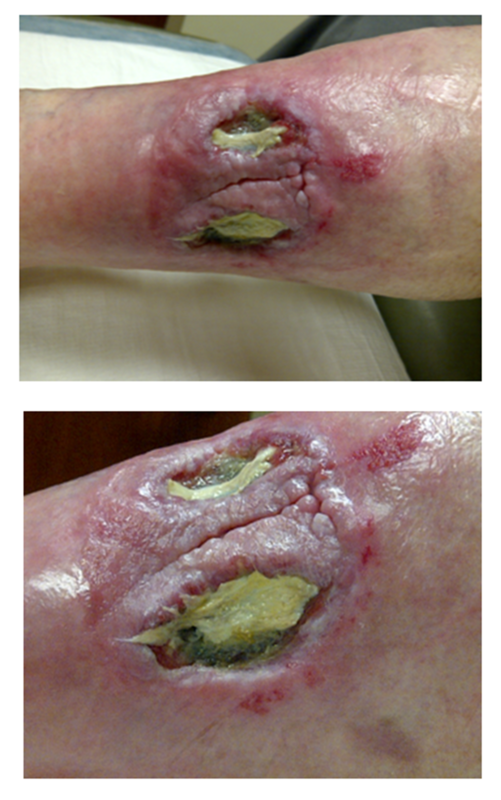 The patient was instructed to administer daily standard wound care and the use of a topical antibiotic. 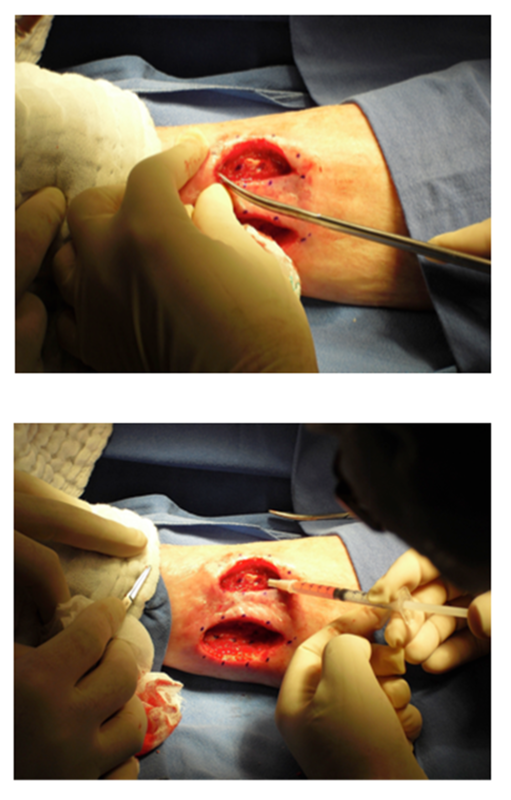 The wound recovery was slow with steady progression towards tissue regeneration that included complete healing, closure, and disappearance of ulcers. This was also accompanied by a reduction in the intensity of the patient's symptoms. It should be noted that clinical improvement was observed faster than the process of regeneration and wound healing. Two weeks after implantation, the patient reported that her pain had subsided and that she had significantly increased functional capacity. At this point, some of the tissue within the lesions was necrotic, and some of that tissue was being replaced by granulation tissue. The patient was able to tolerate regular physical activities with decreasing pain, and thus began walking progressively greater distances. She eventually reached her previous standard of 60-minute walk tests. According to the photographic monitoring of the injuries, gradual closure of the ulcers was evident, with full closure of the ulcers achieved nine months after treatment (Figure 3). Changes in the physical appearance of the original lesions 279 days after implantation of autologous stromal adipose-derived stem cells. There is near complete healing and regeneration of the wound and damaged tissue. Three hundred and thirty-nine days after treatment, an angio-CT was performed on the affected limb. Circulatory compromise was no longer evident. The report states that in contrast to the initial angiogram, no difference was observed in the circulatory status of both lower extremities. In addition, normal vascularity and virtually no evidence of vascular disease were observed (Figure 4). CT-angiography 22 days prior to SVF administration (Top Panel) and 349 days after SVF administration (Bottom Panel). We were unable to find any referenced work in the literature on the use of autologous adipose-derived stromal cells for the treatment of injuries of the lower limb secondary to radiotherapy. This is a novel therapy for patients who have limited options. Previously, studies demonstrate bone marrow-derived mononuclear cells may achieve angiogenesis in patients with CLI [8, 14]; however, these protocols have limitations. Specifically, bone marrow extraction is a highly invasive process to perform in CLI patients who often possess numerous comorbidities. In contrast, adipose tissue has been demonstrated to possess high amounts of mesenchymal stem cells and endothelial progenitor cells, which are the putative effectors in SVF-stimulated angiogenesis . Fat tissue is readily accessible, and a greater number of stem cells may be obtained which can lead to better efficacy outcomes. The case presented herein serves as an illustrative example in support of this concept. Although the true mechanisms of action are not fully understood, we believe that the efficacious response in the patient is related to the autocrine properties of the cells. The cells release inflammatory cytokines, promote vasodilation, and release growth factors that promote angiogenesis. This cascade of events may allow neovascularization of the ischemic limb. There are currently two research protocols approved by the Ethics and Research Committees of our hospital, Regenerative Medicine Institute (RMI) of Tijuana, Mexico, using autologous adipose-derived stromal stem cells in patients with critical limb ischemia. The first protocol includes patients with an atherosclerotic etiology, and the other focuses on patients with ischemia secondary to radiation injury and the presence of a neoplasm. The aim of this paper is to present the results obtained from the first patient admitted to our institute with critical limb ischemia due to radiotherapy prescribed for a previously diagnosed carcinoma. This represents a novel therapy in this area of medicine. 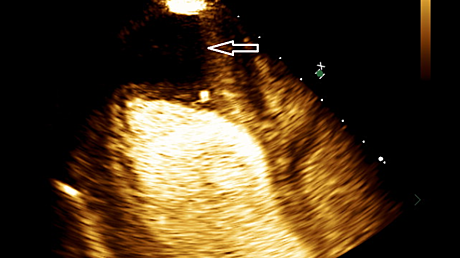 Current methods include either percutaneous or surgical revascularization, and 20 to 30% of patients suffering from CLI are not candidates for these treatments. This results in a very high number of amputations per year and the consequent loss of productivity and quality of life. The results from this case study demonstrate that this is an alternative therapy that should be investigated further. If this therapy is found to be safe and effective in larger clinical trials, “no option” patients may achieve limb salvage and return to a productive and fruitful lifestyle. We believe this will revolutionize the treatment of these patients, while providing a cost savings as compared to amputation. Current understanding of regenerative medicine, in particular, about the use of cell therapy, strongly supports that this new type of treatment may contribute significantly to the management of patients with chronic lower limb ischemia and reduces the need for amputation. We feel that additional larger studies are warranted to determine the safety and effectiveness of this therapy. As more data is available, this treatment alternative may be an option for many different patients, including those with less advanced ischemic disorders such as claudication without tissue loss. ASC therapy could help improve or eliminate non-healing lesions and therefore, improve the patient quality of life. Beard JD: Chronic lower limb ischemia. West J Med. 2000, 173:60-3. Biancari F: Meta-analysis of the prevalence, incidence and natural history of critical limb ischemia. J Cardiovasc Surg (Torino). 2013, 54:663-9. Asahara T, Murohara T, Sullivan A, et al. : Isolation of putative progenitor endothelial cells for angiogenesis. Science. 1997, 275:964-7. Kinnaird T, Stabile E, Burnett MS, et al. : Local delivery of marrow-derived stromal cells augments collateral perfusion through paracrine mechanisms. Circulation. 2004, 109:1543-9. Tateishi-Yuyama E, Matsubara H, Murohara T, et al. : Therapeutic angiogenesis for patients with limb ischaemia by autologous transplantation of bone-marrow cells: a pilot study and a randomised controlled trial. Lancet. 2002, 360:427-35. Higashi Y, Kimura M, Hara K, et al. : Autologous bone-marrow mononuclear cell implantation improves endothelium-dependent vasodilation in patients with limb ischemia. Circulation. 2004, 109:1215-8. Bell LN, Cai L, Johnstone BH, et al. : A central role for hepatocyte growth factor in adipose tissue angiogenesis. Am J Physiol Endocrinol Metab. 2008, 294:E336-44. Huang PP, Li SZ, Han MZ, et al. : Autologous transplantation of peripheral blood stem cells as an effective therapeutic approach for severe arteriosclerosis obliterans of lower extremities. Thromb. Haemost. 2004, 91:606–609. Human subjects: All authors have confirmed that this study did not involve human participants or tissue. Conflicts of interest: In compliance with the ICMJE uniform disclosure form, all authors declare the following: Payment/services info: All authors have declared that no financial support was received from any organization for the submitted work. Financial relationships: All authors have declared that they have no financial relationships at present or within the previous three years with any organizations that might have an interest in the submitted work. Other relationships: All authors have declared that there are no other relationships or activities that could appear to have influenced the submitted work. Parcero et al. This is an open access article distributed under the terms of the Creative Commons Attribution License CC-BY 3.0., which permits unrestricted use, distribution, and reproduction in any medium, provided the original author and source are credited.